Raising children who have big dreams and high expectations can be challenging. Helping your children accomplish those goals and fulfill those dreams can become a full-time job. I left Corporate America to devote my time and talents fully to my family. But I never could’ve predicted that within one year I’d be traveling the country with both my girls – one as a speaker and the other as an All-American sprinter. I had to learn very quickly how to make the most of my time managing their endeavors and still be a good wife and take care of myself. So here are 3 ways I’ve learned to support your super kid without losing yourself. I’ve teamed up with Jen Reeves of Born Just Right and Tamara Zantell of Raising A Mogul to offer insights from the emotional support, business and infrastructure, and media management and public relations perspectives. This post may contain affiliate links. that means if you click a link and make a purchase I may receive a commission. I only recommend products and services I have used and love. Thank for your support. The most important thing you can do to support your high achiever is to manage the emotional aspects that accompany success. Being thrust into the public eye comes with expectations. those expectations can lead to pressure, often times self-inflicted. Arm yourself with the following tools to guide your child through the emotions he/she will face in a healthy manner. What’s worse than the feeling you get when your child utterly refuses to cooperate? In public. With strangers watching. And heaven forbid that someone you know is present. The best way to ensure cooperation and commitment to the task is doing what your child wants to do. “But he’s just a child (I hear your thinking)! He doesn’t know what he wants to do!” That very well may be true, and if it is, it will become apparent soon enough. If he wants it bad enough, he’ll do the work. Never work harder than your child at something they say they want for themselves. Everyone wants to be in a supportive, nurturing, reciprocal relationship where they feel seen, heard, and appreciated. This is especially true for children. And when children are in the public eye, their peers and even the other adults in their lives can begin to take advantage of the benefits their relationship can offer. Creating an environment where your child can Be Loved In a Safe Space is crucial. Your safe space starts with your understanding and perception of love. Dr. Gary Chapman provides an easy to use method to determine what actions and interactions you understand as love in his series of books on The 5 Love Languages. Take the online assessment at this link and learn your primary Love Language and then use his online resources to determine your child’s. It is important that you learn what B.L.I.S.S.™ means to you as a mom first, and then you can easily figure out how to create the environment for your child’s to have B.L.I.S.S.™as well. I share more about the B.L.I.S.S.™ concept in my book Experience B.L.I.S.S.™ in Your Relationships. Grab a copy using my Amazon Affiliate link here. Once you know your child’s primary Love Language, you can actively work to keep their emotional bucket full. This is important because when they are emotionally full and feel nurtured and supported, a blow to their confidence will make far less of an impact. Abolitionist and thought leader Frederick Douglass said, “It is easier to build strong children than to repair broken men.” Focus on one intentional act that aligns with your child’s primary Love Language each day to keep your high achiever’s emotional bucket full. 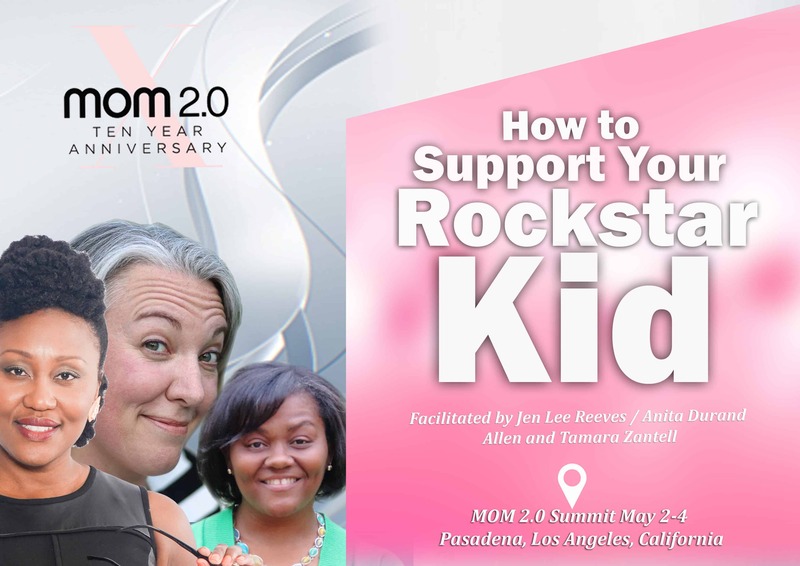 Be sure to jump over to Raising A Mogul with Tamara Zantell (www.tamarazantell.com) to learn more about building an infrastructure for your child in business and BornJustright.org to read about how to manage media interactions.